Join us in our 2018 Research Initiatives. The Stone Research Foundation team, led by Kevin R. Stone, MD, with the help of other researchers, physicians, collaborators, and interns, has a vision of a world free from the suffering from sports injuries and arthritis. We pioneer new orthopaedic treatments that accelerate healing, enabling people to stay active through research, development, innovation and education. In 2018, we have multiple projects underway. Our goal is to create and test new biologic solutions for people who want to continue enjoying life to the fullest after injury or arthritis. As a benefactor, you are co-creating a world where people stay moving after injury. Donors can choose to specifically target investment toward a particular study, or support our overall research fund. Want more information? Contact Us. The Stone Research Foundation is currently recruiting participants for a study evaluating the success of injections of amniotic stem cells and growth factors in injured & arthritic knees. We see the knee as an organ - a complete unit with complex pieces working together to provide maximum stability and cushion. Our research is focused on understanding the outcomes for surgical procedures that treat these crucial parts of a properly functioning knee including the articular cartilage, meniscus cartilage, and the ligaments and tendons. Articular cartilage covers the bones in joints and contributes to smooth, pain-free motion. This cartilage surface can be damaged through trauma or by arthritis. Damage can lead to pain, swelling, and/or loss of motion. Damaged articular cartilage has a limited ability to heal on its own. The meniscus is a soft and fibrous cartilage resting between the femur and the tibia in the knee. The meniscus plays a crucial role in joint stability and lubrication and is capable of withstanding tremendous forces at an average of over two million steps per year. 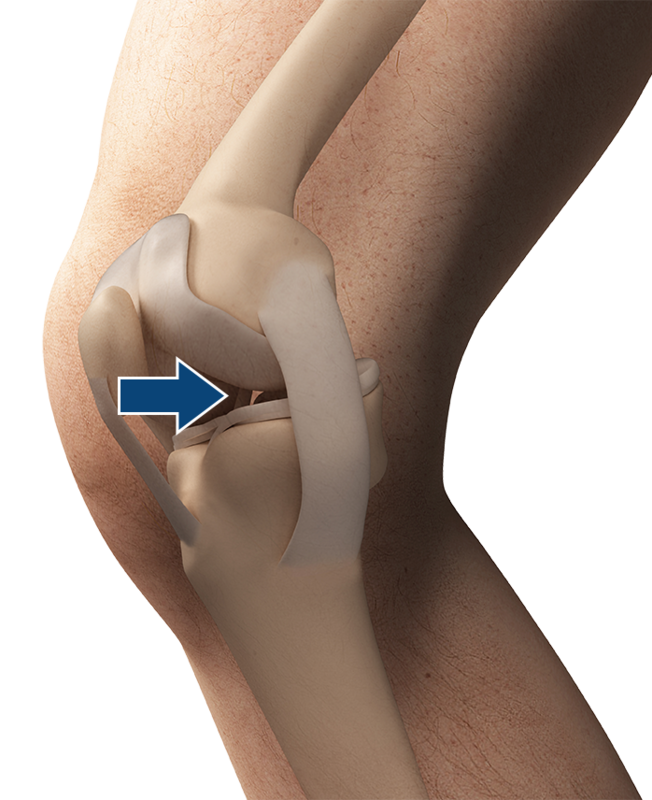 A healthy meniscus provides a gliding surface in the knee that is five times smoother than ice on ice. The ligaments and tendons in the knee are key stabilizers and help guide the knee through a normal, stable range of motion.